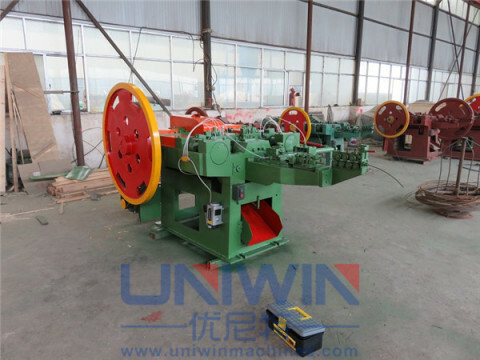 This type wire drawing machines is specically suitable for wire nail making factory and binding wire making factory first stage drawing,suitable for Q195/235,SAE1008/1006 low carbon steel wire. 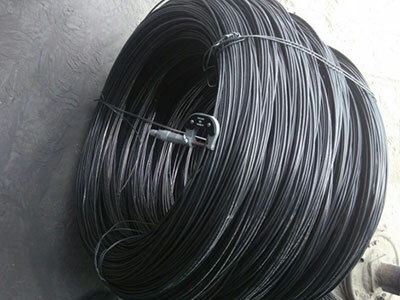 To make nails ,it needs steel wire of diameter 4.5mm,4.1mm,3.7mm,3.4mm,3.1mm,2.8mm etc ,however in the market ,the steel wire is usually 6.5mm/6.0mm/5.5 mm ,soit needs a wire drawing machine to reduce the wire diameter so that they can be feed into the nail making machines. by changing different drawing dies ,you can get any diameter you need for making nails . Big wire coil before drawing. Small wire coil after drawing. Output :around 1 ton from 6.5-4.5 mm,around 300-400 kg from 4.5-3.0 mm . To see the wire drawing machine testing videos pls click the video tab . 1, Wheel structure makes the wire turns easily and can save motor strength ,better on use and much longer life than the old design. 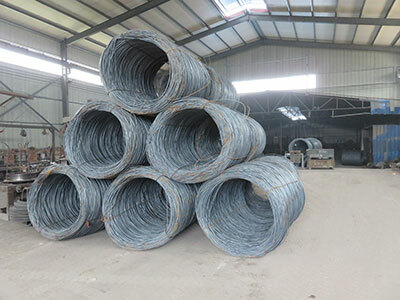 2,The drum are tungsten carbide coating ,which makes the life time 10 times longer than the common heat treatment ones ,after tungsten carbide coating ,the drum can last at least 2-3 years without fixing , however ,for common heat treatment drums, after 3-6 months ,it needs to fixing the wire grooves by electrowelding. 3,Big 3 gear reducer makes the stable working of the wire drawing machines and no gear oil leakage. 4,We use auto discharing by using a motor instead of the manual discharing ,which greatly increases the drawing efficiency and labor saving. 5,The control cabinets are equipped with convertor ,which can make the motor soft start . 6,We use the Mengniu brand motor ,which is one of the best brand in China . 100% copper wire rotator,more strong motor casing ,all these small details makes the wire drawing machine a long life and easy use. 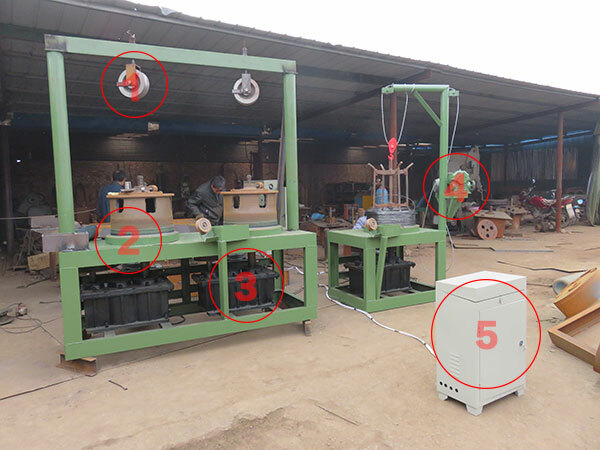 1,The wire drawing machine in this picture is not finished yet ,it is being testing ,after testing or after drawing for several hours,the drum will become very bright and no rust at all.before delivery,we will add oil on the drum and wrap it with plastic film . 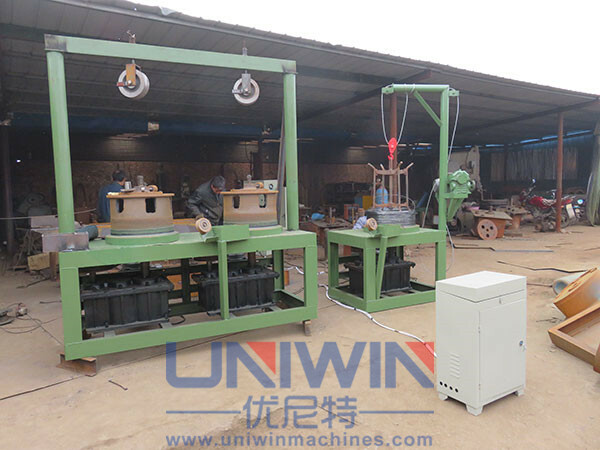 2,This type drawing machines is suitable for 6.5 mm -2.2/1.8 mm steel wire for nail making, if you need smaller diameter such as 0.6mm,0.5mm etc for binding wire ,it needs to use the water tank type wire drawing machines.